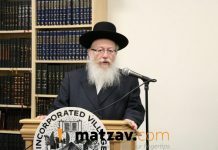 One of Europe’s leading Orthodox rabbis on Friday called on Jewish parents to ensure that their children are properly vaccinated with the Passover holiday approaching, as a measles outbreak among Orthodox Jewish communities in New York showed no signs of abating. 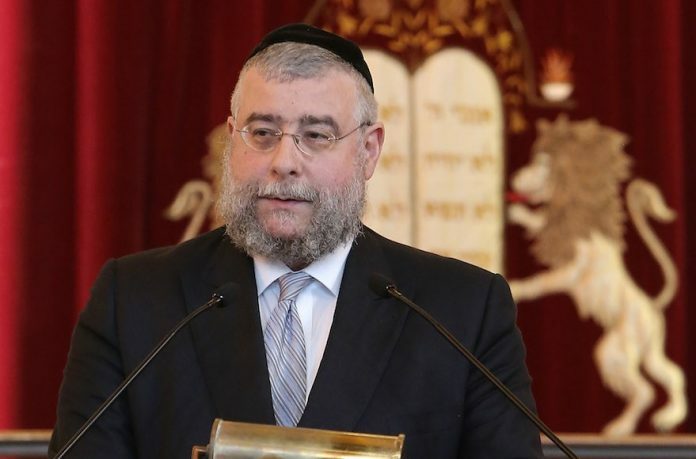 “It is well known how dangerous measles is and the need to ensure all vaccinations are up to date,” Chief Rabbi Pinchas Goldschmidt — the president of the Conference of European Rabbis — said in a statement. Goldschmidt’s statement came in the same week that New York City Mayor Bill de Blasio issued an emergency health order requiring measles vaccinations, with a $1,000 fine for those who decline. Sections of the Orthodox Jewish community in Brooklyn have refused to have their children vaccinated, on the grounds that doing so supposedly violates Jewish religious law. The Center for Disease Control (CDC) has identified three ongoing measles outbreaks in the US in New York City and nearby Rockland County, as well as in jurisdictions in New Jersey, Michigan and California. The CDC said on its website that the outbreaks were “linked to travelers who brought measles back from other countries such as Israel, Ukraine, and the Philippines, where large measles outbreaks are occurring.” Public health officials previously declared measles to have been eliminated in the US in 2000. The Algemeiner (c) 2019 . Stop the vaccination hoax altogether and adults will not be in danger. No, the anti-vaxxers are not be blamed. It’s the junky vaccination which is worthless and ineffective after 3 years if exposed to measles that is to be blamed. Sue your doctor if you adult child comes down with the measles after being injected with the (dangerous) vaccinations. Don’t you see that the Health Dept is trying to convince naive vaxxers and have them blame the anti-vaxxers. Foolish vaxxers are buying their propaganda without any common sense? They want you to blame the anti-vaxxers instead of their junky unreliable vaccine which only postpones the disease to older age when it’s much more risky and unsafe. With vaccinations, not only does one not get life immunity, one has to be careful not to be exposed to measles for the rest of their lives, lose all immunity and come down with all kinds of allergies, and whatnot. Parents should be charged for injecting their children with junky vaccine. When will you vaxxers wake up and realize that you’re being brainwashed by the Health Dept? Vaccination is to human what geoengineering is to earth. Wow! Are all the “senior” Rabbi’s from the tri state area away for Pesach? The Anti vac agitators, demagogues, troublemakers have to be exposed to the public on who they are, the public is at great risk now and there is no choice but to expose the anti vaccine people. Sara Stern from Healy Ave Bayswater Queens NY Formery from Division Ave Williamsburg NY is not a Medical Doctor, has no medical education or practicing medical awareness yet claims to be a Medical expert and a determined Anti Vaccine agitator that misleads the public with her uneducated and unsupported anti vaccine claims. 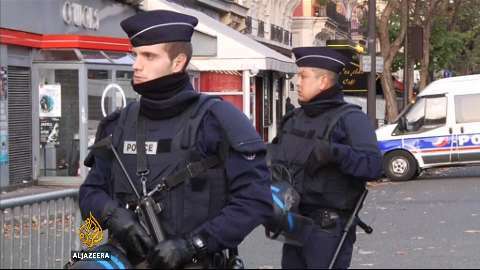 We need to expose more of these agitators to stop this public emergency from spreading, real lives are at risk now. I agree, well said and succinct. Can someone explain why the MMR vaccine is being given to six month old babies when Merck, the manufacturer, states in its insert that the Mumps and the Rubella parts of the vaccine have NOT been tested for safety in babies under 12 months of age? Do any of those who encourage this want to be responsible for any possible adverse effects in these young babies? Keep in mind that since 2010 Merck has been in federal court due to a charge of falsifying the efficacy of the Mumps vaccine in order to get the license to produce this vaccine. Can you trust a company that has lied? China will soon allow parents to sue vaccine manufacturers for damages due to recent scandals. If vaccines are so safe in the USA, why are vaccine manufacturers afraid to have liability for their products? The problem with the anti-vaxxers is that each one is on a different page. Some say that vaccines are not effective at all. Some say that vaccines are effective, but they wear off after x amount of years. Some say that vaccines are effective for life, but the risk outweighs the gain. Some say that vaccines are effective, the risk outweighs the gain, but I as an individual will enjoy the herd immunity without vaccinating. Some say that vaccines are effective, the risk outweighs the gain, I as an individual will not take advantage of the herd immunity, but vaccine x has been proven to cause effect y, so I do not give that vaccine. By the time you finish debating one anti-vaxxer, the other one comes with a new version of anti-vax. But everyone agrees that only adult vaxxers who’ve received their vaccinations are coming down with the fatal measles because they’ve been exposed to children with measles while not 1 adult who had the actual measles (not vax measles) as a child got measles again. To “china”…i suggest you read the article before posting it. The law in question is regarding “Faulty vaccines”, where the material is contaminated or damaged, and can hurt a baby, no different than spoiled formula. Nowhere does it talk about regular vaccines. to Matis G….yes, vaccines in USA can also be contaminated or damaged. PLEASE watch this short video. do you think the parents should have had the right to sue the vaccine manufacturer (due to the 1986 law they were not allowed to)? do you think the pediatric office should have kicked them out of the practice? i look forward to hearing back from you on this. Thank you!